We are a fun & truly unique local spot on the South Slope of Asheville. 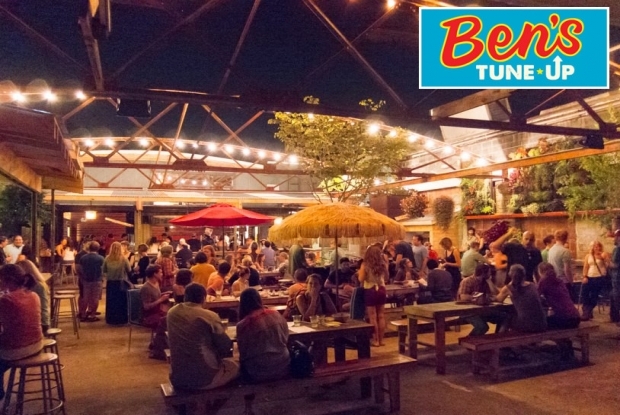 Don't let the exterior fool you - come discover all Ben's has to offer. We are a sake brewery located in a converted auto shop with an Asian fusion restaurant and beer garden. Hungry? We serve food until 2am. In town to sample Asheville's beers? Cleanse your palette before the next brewery with our sake. Don't drink beer? We have a full bar and wine list. FREE LIVE LOCAL MUSIC Tuesday through Sunday. We have it all! And bring your dog! 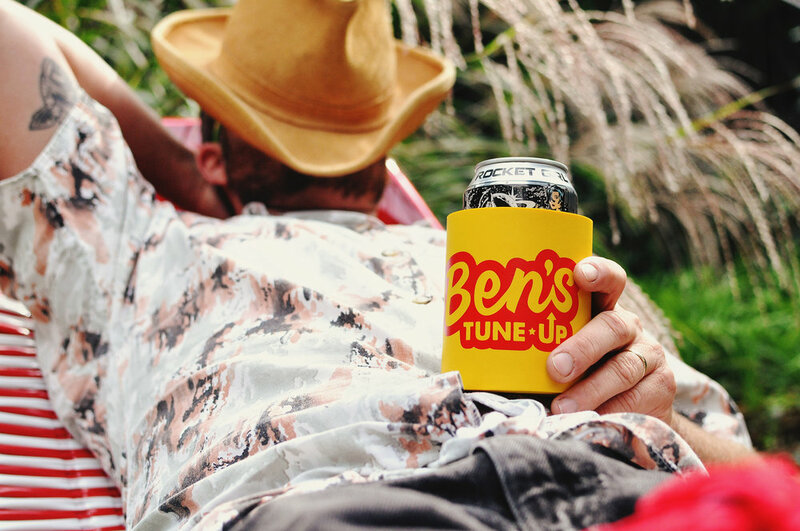 Ben's Tune Up is located in the South Slope Neighborhood of downtown Asheville, and is home to an urban beer garden, full service restaurant, sake brewery, and sake tasting room.